Join us for a Sensory Storytime for children on the spectrum. Limited to 30 children wtih a parent or caregiver per storytime. Pre-registration is required to attend. Held in our upstairs Talbert Room the second Sunday of every month unless the library is closed for a national holiday. 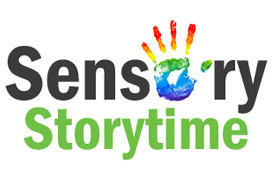 This storytime is designed for children with autism, spectrum disorders and/or sensory sensitivities. Explore books, music, movement and play in a sensory friendly setting. Geared for kindergarten readiness and life skills.